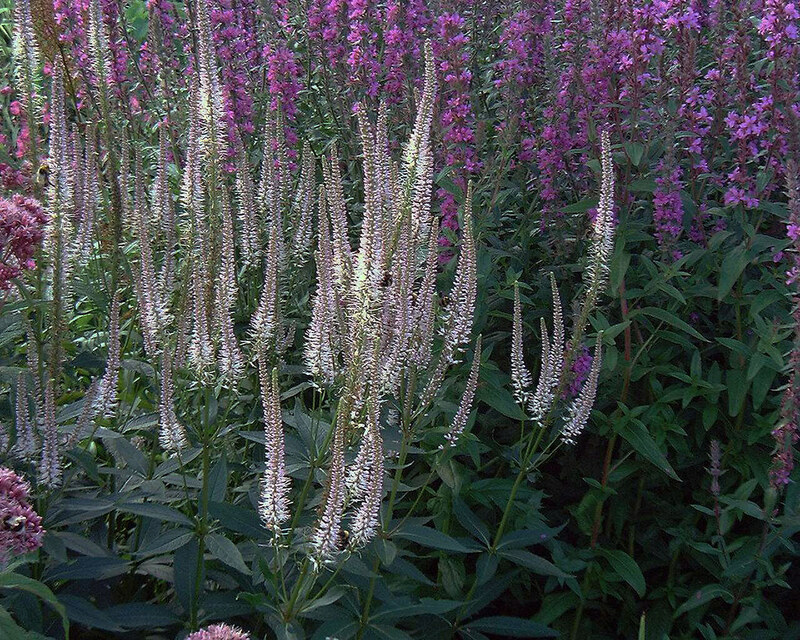 A clump-forming perennial with very narrow spikes of tiny, pale-pink flowers and leaves formed in attractive whorls up sturdy stems. Smaller, branching, lateral flower spikes also occur when in full bloom. Jul-Sep. H150cm S45cm. Grow in moderately fertile, humus-rich, moist soil in full sun or partial shade. Excellent for providing vertical interest in the herbaceous border and useful in prairie plantings and it associates well with grasses. Seldom needs staking, but may need support if grown in too much shade. A magnet for bees.